As there are 1000s of species of plants, remembering the name and details of each plant is not possible for a human being. Although you can get information on plants from an encyclopedia book, you’ll have to go through several pages of the book to find a specific plant from its picture or leaf. Students and researchers can save time by using a plant identifier app on their mobile phone. Now let’s talk about trekking, an adventurous but dangerous sport. Most people put first aid box in their rucksack before leaving the house. Some people forget to do so. People who go for trekking often hurt themselves. They are also bitten by insects or reptiles. If a person is injured or has contracted with a bacterial or viral infection, he must find plants with medicinal properties. The plant identification apps will help users in recognizing such plants. PictureThis is a free app that identifies plants and flowers from its pictures. It has 50K users and powerful features. The main interface of PictureThis displays two buttons – take a new picture and select an image from the phone gallery. Tap the 1st button if the plant is right in front of you. Tap the 2nd button if you’re mesmerized by the picture of a flower, tree or a sapling and you want to know its name. When you select an image or take a new picture with your phone, PT will scan the image and get the details of the plant from its database. The PictureThis app uploads the picture to its server and displays the same in its feed (Observation interface). It allows other users to comment on the picture. The app allows users to delete the picture from the server. The option for the same is located in the app’s profile section. PictureThis reads users location and displays plants they have discovered on a Google Map. The PlantNet app has 1+ million users. It is a social network for tree lovers and a tool to identify plants. It enables users to explore and discover plant species by countries. Like the PictureThis app, PlantNet requires an internet connection to work. To get details of a plant or a tree, users must take its picture with the app or select its image from the phone’s storage memory. Before scanning the picture, the app prompts users to select one of these 5 parts of the plant – seed, flower, fruit, stem, leaf. Once you select the part, the app uploads the image to its server and analyzes it. If the image matches with any of the records in the database, the app will fetch the details of the plant from the database and display the same to the user. 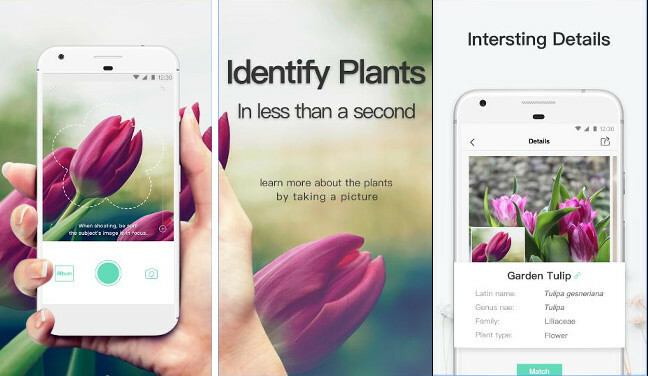 If the app fails to identify the plant, you can ask other users of this app to help you out. PN enables logged in users to like or dislike the pictures. Although it has more users than PT, the PlantNet’s image recognition algorithm is not as accurate as that of PictureThis. PlantNet failed to recognize the plant in the picture I captured with my phone’s camera. PT identified the plant correcly. 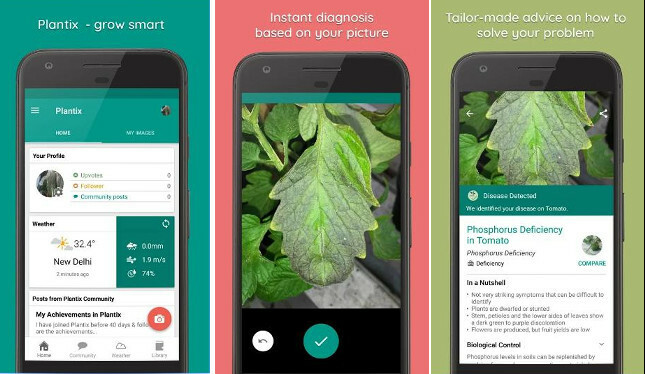 If plants in your garden or farm are infected by a bacteria or virus, you can identify the disease and find a cure for it with this app. Plantix can scan fruits, crops, vegetables online and recommend a pesticide which you can use to treat the disease. If the app gives a clean chit to the image and you still suspect that the plant is infected by a disease, you can ask the community members to review the picture. To do so, you must create a new forum post. The app lets you see the weather, precipitation, and wind information in your area. It has a library section where you’ll find the list of plant diseases. To get detailed information on the disease and to see its cure, tap on the disease name. The Plantix app includes a search option and it supports various languages. It is easy to use. The Plantix app supports Android devices. It will be published on the Apple App Store next year. Goggles is a free application that helps users in identifying the objects near them. The app is powered by Google reverse image search function and it is accurate. When users run it, the Goggles app opens the phone camera. 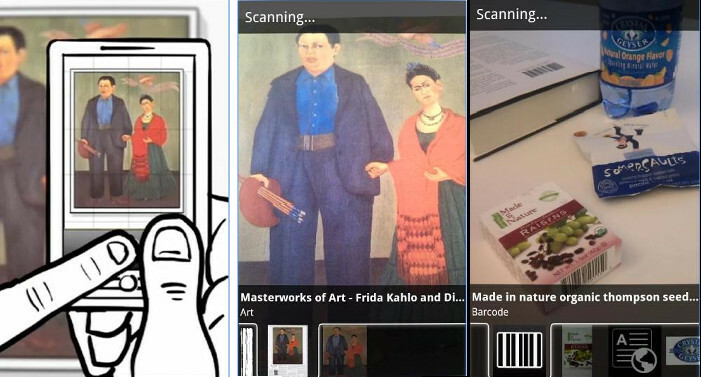 Google Goggles analyzes the picture user takes with it and displays the name of the object displayed in the image. It can also scan the pictures saved on the phone. It is lightweight, fast and has a simple user interface. GG provides an option to crop the picture and turn on the led flash module of the phone. Unfortunately, Google has removed the Goggles app from iTunes. iPhone or iPad users can use the reverse image search function of the Google App. The Garden Tags app requires account registration and it has a lovely interface. 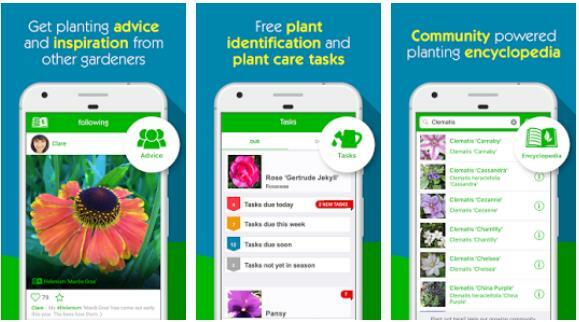 You can use this free app to get plant caring tips, interact with other users, discover new species of plants and identify unknown plants, flowers, trees, etc. How to use Garden Tags? Users must take pictures of the plant with their mobile device. The app will not analyze or scan the picture. It will ask you to share the image with the community members or with friends on facebook/twitter. The app enables you to tag a question with the image. It links the pictures you’ve taken with your phone to profile. It allows you to follow other users and comment on the pictures you’ve uploaded. PictureThis, Plant Net, Google Giggles, Garden Tags, and Plantix are the best apps to identify plants. I used PictureThis last year, but since the app is not free anymore I was looking for an alternative. I tried PlantNet on various images, but identifications were often not helpful. I’m still looking for an alternative and Flora Incognita on the app store yesterday. Do you have any experience with it? It seems to work quite nicely on a first glance. 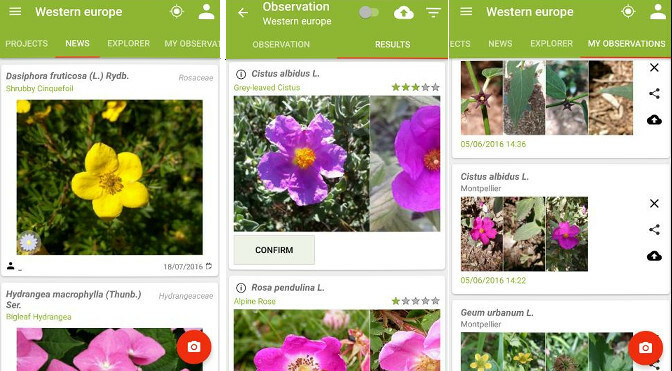 Hi, Flora Incognita is an App for automated plant identification. It is focused on the German flora (2700 species) but the team will extend the species list in the next weeks (they will also adapt the species profile) and make the identification workflow easier. Since it’s a research project the app is for free. You should try the app.